Singapore is such a small country, it was even nicknamed Little Red Dot by former Indonesian President, B. J. Habibie. Interestingly, despite its small size, there are a lot of things to be done and a lot of things to be seen in this city-state. I have been to Singapore for several times now but each time, there will always be something new for me to experience. I am going to Singapore again this weekend, bringing my mother, my wife and my sister together. For my mother and my sister, it will be their very first visit to Singapore. I am glad that I have a friend staying there, Daeng of Lonely Travelog and for this visit, he suggested 6 things to do in Singapore on a weekend. 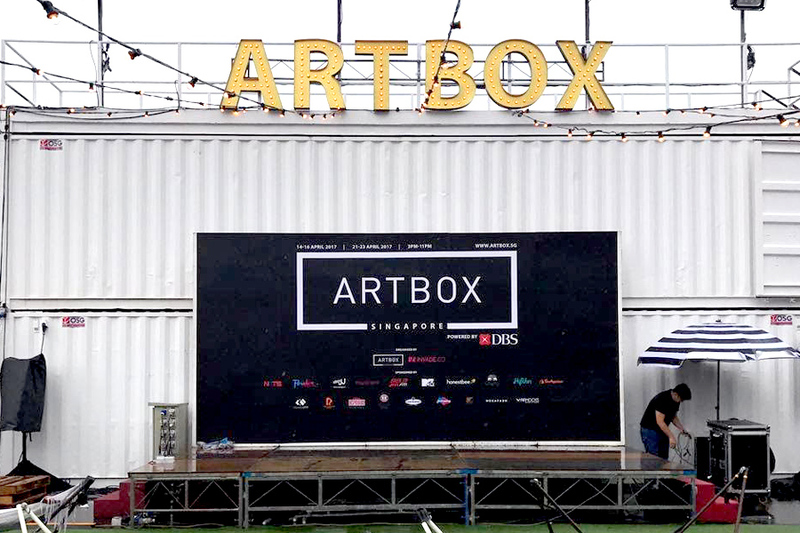 Art Box Singapore is an à la hipster market, selling food and beverages as well as merchandises from 3 pm to 11 pm. It is being held at Bayfront Event Space beside Marina Bay Sands. It is possible to get there via the MRT at Bayfront MRT station Exit E. Daeng told me that it is too crowded but if you have been to the Bangkok version of the market, I think you know how crowded it can get. This weekend (21st to 23rd April 2017) is the final weekend for this event. Esplanade or the ‘durian’ is one of the places to go for art performances in Singapore. It has free nightly performance from 8.00 pm at the Esplanace Outdoor Theatre facing MBS. The theme for this weekend (21st to 23rd April 2017) is sacred music and there will be a Qasidah performance for this weekend named ‘Qasidah: Islamic Devotional Poetry’ by Ikhwanul Muntaqa. Details of the performance and other scheduled performances can be read here. I have never entered into the conservatories but from what I have heard, they are amazing. The flowers change according to the seasons and for this month, it is tulipmania! There will also be a free garden rhapsody which will be held at the supertrees. The sound and the lights will be changed monthly. 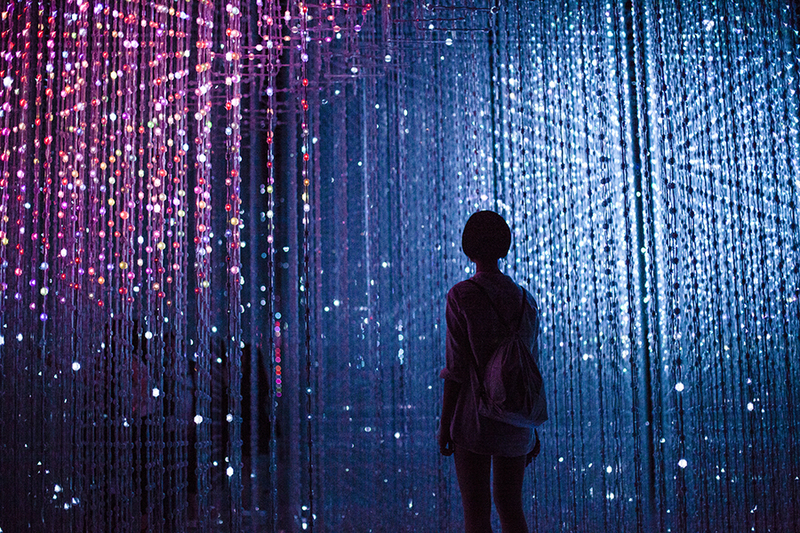 Future World at artscience Museum exhibition is one of the great places for photography. The exhibition exhibits a futuristic world where arts, science, creativity and imagination being combined to offer an unforgettable experience to the visitors. This exhibition is a permanent exhibition but it is constantly change in order to offer different experiences to visitors. Singapore Sports Hub, Singapore’s spanking new one-stop centre for sports hosting is situated at Kallang and easily accessible via the MRT Stadium station. Since this complex is located near water, it is a nice place to watch sunset and to stroll along the water. There is also a shopping mall nearby i.e. Kallang Wave Mall and it offers a delicious halal beef noodle at its food court. Sentosa Island, the famous island south of the main island of Singapore because it has recreational beaches and a Universal Studio Singapore (USS) theme park. Personally, I like Sentosa because of the USS but not so for the beaches. They feel so artificial and the view of the sea is obstructed by oil tankers and huge ships. It is easy to get to Sentosa. Either take the MRT and alight at Harbourfront before taking the monorail from Vivo City Mall or walk on the Sentosa Boardwalk for free. I have written about my visit to Sentosa before (here, in Bahasa). woww looking forward to go to singapore tomorrow!can’t wait! Great tips! Do you think you’ll be able to visit everything in one weekend? It seems like a lot.